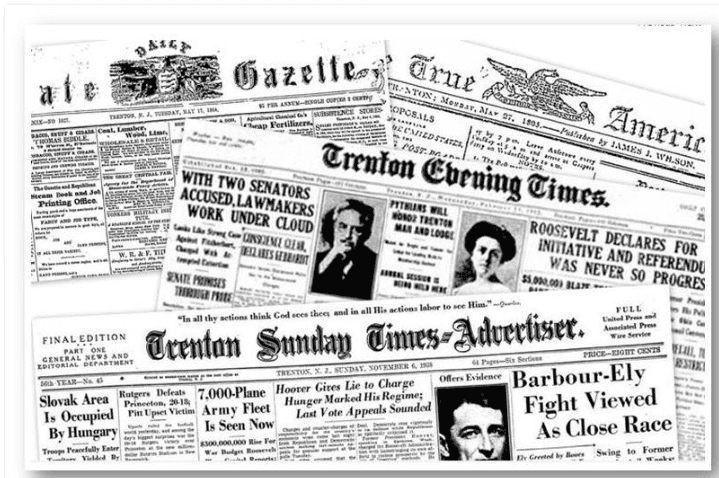 GenealogyBank continues to grow every day—we now have 10 Trenton, New Jersey, newspapers online. That’s a lot of local papers to research your family history from New Jersey’s capital city. Interesting bit of U.S. history trivia: Trenton was once the capital of the United States, albeit briefly, in November and December 1784. Trace your genealogy from this historical New Jersey city. Here is the complete list of Trenton, NJ, newspapers currently available in our online archives, providing coverage from 1792 to today. Find and document your family history. Make sure your family tree is accurately documented, including every obituary and news article.